In Emergency Management ‘Situational Awareness’ cannot exist in isolation. It has a purpose. Peter Daly (HSE Ireland) said that in certain instances it may be referred to as Recognised Current Situation (RCS) (MEM Framework 2005). Its source goes back to the 5th century BC and the Art of War by the Chinese military strategist Sun Tzu (Daley 2018). Put simply, situational awareness is when everyone knows exactly what the situation is, past and present, and knows what to do about it. It’s important that every team is situationally aware so that everyone understands associated risks and consequences of the circumstance as well as the course of action. This leads to Joint Understanding of Risk, which is when “different responder agencies may see, understand and treat risks differently. In this case, each agency would carry out their own ‘dynamic risk assessments”, and then, share their results so they can jointly plan control measures more effectively, especially in the case of unpredictable circumstances. By jointly understanding risks and the associated mitigating actions, organisations can promote the safety of responders and reduce the impact that risks have on citizens, infrastructure and the environment. In the event of, for example a terrorist attack, situational awareness would be caring for all injured parties and applying damage control procedure. It’s there in the moment. Situational understanding on the other hand is the perception of the global situation. For example in a terrorist attack, it isn’t a ‘simple’ shooting incident; therefore after the shooting, some areas may still be dangerous, and terrorists may be present even after the attack. Situational awareness is knowing how to care for victims with severe trauma and applying damage control principles, while situational understanding is about knowing the severity of the situation (Vivian 2018). Situational understanding requires a combination of insight and foresight i.e. the ability to accurately perceive an existing situation and the ability to anticipate how an existing situation may develop in the future (Trost 2016). Sense making is the process of collecting and processing information that will help to detect an emerging crisis and understand the significance of what is going on during a crisis. IN-PREP partner Professor Benoit Vivian of SAMU Paris states that it is a continuous process where they perform real time adaptation –as successive information is received on both the situation and victims. Klein, Moon and Hoffman (2006) state that in the field of psychology, sense making is more than situational awareness “… it’s a continuous effort to understand the connections (among people, places and events) in order to anticipate their trajectories and act effectively”. However they mention that it’s not a matter of simply connecting the dots. Great skill and experience are required to determine which dots count in the first place and which signals should be ignored. In human-centred computing, sense making is about understanding the different layers and algorithms that make up a model so that the user knows why and how the algorithms work to produce the end result. 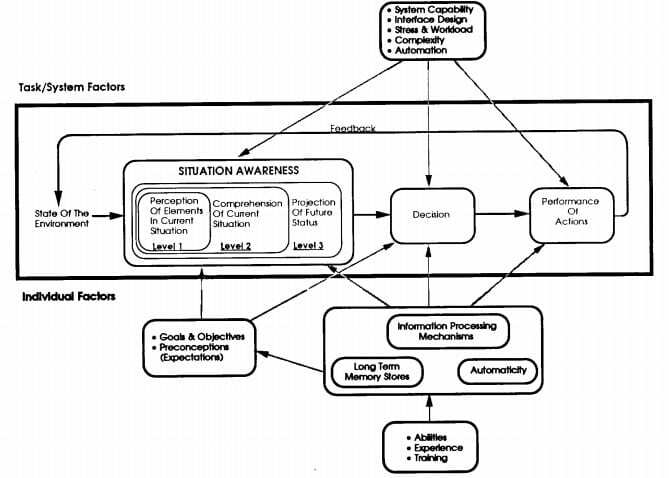 So while situation awareness is about the knowledge that’s achieved (through knowledge of current data or predictions drawn from this data), sense making is about the process of achieving these outcomes and the barriers encountered (Endsley 1995). This blog on Situational Awareness received contributions from IN-PREP partners Peter Daly of HSE Ireland, Mark Roberts of PSNI and Professor Benoit Vivian of SAMU Paris as told to Johanna Varghese and Becca Linn of Carr Communications. the featured image of an emergency exercise is taken by Cian O’Brien of HSE Ireland. JESIP UK, emphasizes communication and interoperability between police, fire, and ambulance services. It has a good glossary of terms worth exploring.